Here’s something you were told at nauseam as a teenager: Wear a condom, because if you don’t, she’s going to get pregnant. Here’s something you were probably never been told as a teenager: If it’s finals week and you’re super stressed out over trying to memorize the quadratic equation or understand the allegory of the old man and the marlin, forget the condom and go for it, because in all likelihood, your swimmers won’t make it to the finish line. 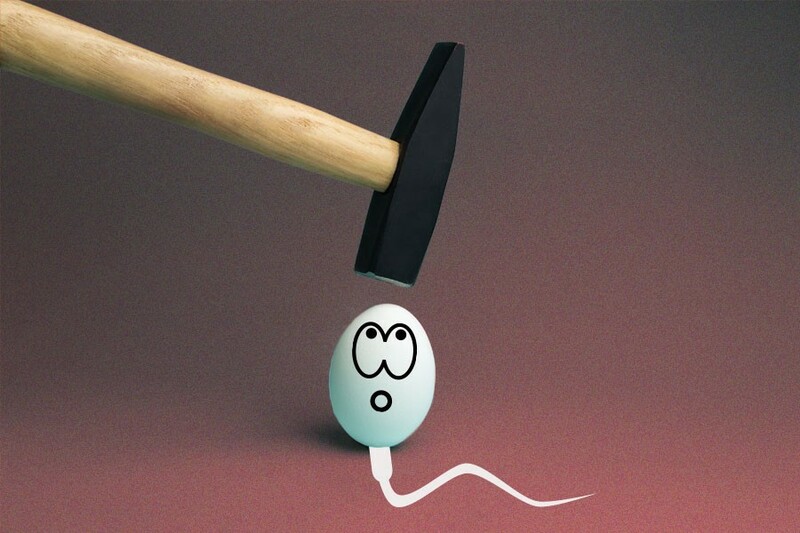 That’s right: Sperm, like just about everything else, is negatively affected by stress. Exactly how stress affects your sperm isn’t yet known, but Brahmbhatt says there are a few theories on what’s happening inside your dangly bits, where your swimmers find refuge. “It may trigger a surge in cortical steroids, which alters your testosterone levels and the way in which your sperm is produced,” says Brahmbhatt. Brahmbhatt adds that there are also less invasive ways to treat sperm count issues that revolve more around lifestyle changes. “If we find the patient is morbidly obese or a pack a day smoker, we can suggest they make changes in their daily lifestyle and actually track their sperm count and motility with certain tests,” he says. Unless, of course, you’re trying not to get pregnant, in which case, it doesn’t matter how much stress you’re under — put on a rubber, kid.